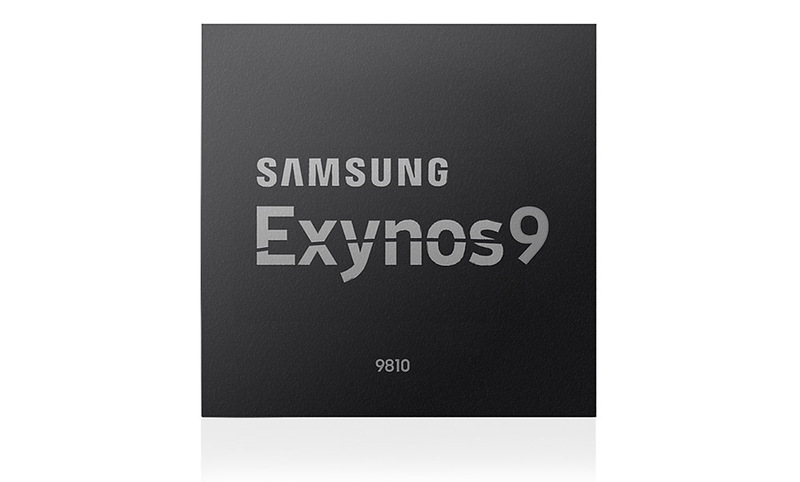 Samsung announced its latest high-end mobile application processor today, the Exynos 9810. This is Samsung’s processor that will likely power the Galaxy S9 and Galaxy S9+ around the globe, just not here in the US where the Snapdragon 845 will reign supreme. This new Exynos 9 series processor is built on Samsung’s 2nd-gen 10nm FinFET process, just like the Snapdragon 845 is. It’ll offer up faster multi-tasking, faster app load times, and faster transition times between them, all thanks to the new 8-core CPU it’s rocking. This new CPU includes four 3rd-gen custom cores that can reach up to 2.9GHz for the heavy lifting, while the other four cores take care of efficiency. Samsung says that single-core performance is enhanced two-fold, while multi-core performance has increased by around 40% over the previous-gen Exynos 9. Of course, powering apps isn’t all this new Exynos 9810 will do. It’ll help other components do things like recognize people and other items in photos for searching or categorization, scan faces in 3D, and deploy multiple security features including facial, iris, and fingerprint. Expect a powerful modem as well, one that’ll let users hit up to 1.2Gbps speeds, thanks to its Cat.18 LTE modem (first in the industry) and 6x carrier aggregation (CA). Finally, the Exynos 9810 includes dedicated image processing to enhance stabilization of images and video, as well as UHD video at 120fps. 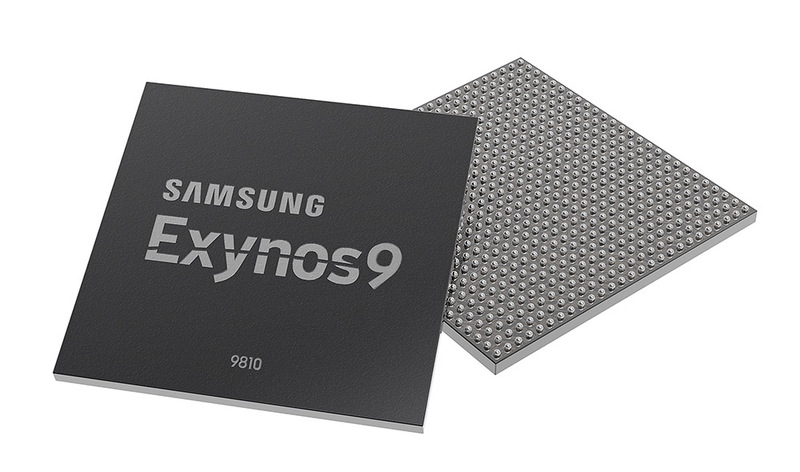 The Exynos 9810 is now in mass production, again, because it’ll be in the Galaxy S9 internationally.